For more than 100 years, opponents of Bibilical inspiration - especially the liberal German schools of higher criticism lead by Julius Wellhausen ( click here ) - denied the crucifixion. (Note: Nazareth does exist NOW, it's quite big even - that's because Emperor Constantine built a church there in the 4th century and became a center of Christian pilgrimages. John 1:46 -- And Nathaniel said to him (Philip): "Can there be any good thing come out of Nazareth ?" The evidence that Nazareth DOES existed in Jesus' time came from the finding of a list in Aramaic (Jewish language) describing a number of famlies of priests that were no longer needed in 70 AD. Archaelogists have discovered a list of 24 families of priests who were relocated after the temple's destruction and one of the family was registered as having moved to .... you guessed it.... Nazareth ! So Nazareth does exist in 70 A.D. ! The Gospel of Matthew tells us the Herod the Great - the ruler when Jesus was born - was a cruel man; he has ordered the killing of all infants when Jesus escaped. Herod was indeed suspicious of anyone whom he thought may take his throne. His list of victims included one of his ten wives, who was his favorite, three of his own sons, a high priest, an ex-king, and two of his sister's husbands. Thus, his brutality portrayed in Matthew is consistent with his description in ancient history. John 5:1 --- After this there was a feast of the Jews, and Jesus went up to Jerusalem. Now there is a pool at the Sheep Gate at Jerusalem, which is called in Hebrew Bethesda, having five porches. In these lay a great multitude of those who were sick, of blind, lame, withered, waiting for the moving of the water. For an angel went down at a certain time into the pool and troubled the water. Then whoever first stepped in after the troubling of the water was made whole of whatever disease he had. And a certain man was there, who had an infirmity thirty-eight years. When Jesus saw him lying, and knowing that he had spent much time, He said to him, Do you desire to be made whole? The infirm man answered Him, Sir, when the water is troubled, I have no one to put me into the pool. But while I am coming, another steps down before me. Jesus says to him, Rise, take up your bed and walk. The fact is, John did not need to describe the details of the pool (with its 5 pillars) in his gospel, and the fact that he did, made his account vulnerable to contest. 40 feet underground, archaeologists discovered a pool with five porticoes, and the description of the surrounding area matches John's description. 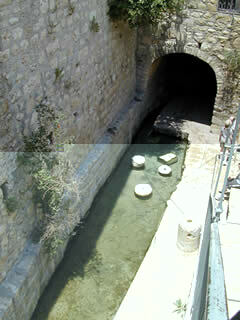 In 9:7 John mentions another long disputed site: the Pool of Siloam near the Temple in Jerusalem. However, this pool was also discovered in 1897, upholding the accuracy of John. Evidence for Pontius Pilate, the governor who presided over the trial of Jesus, was discovered in Caesarea Maritama. 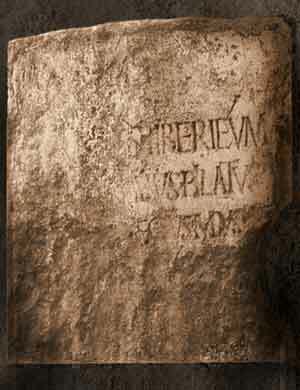 The name inscribed on the ossuary was "Yehohanan ben Hagakol". The nail (of the crucifixion) had been driven through the man's heel into the cross and the nail had entered a knot in the wood. The nail is stuck and cannot be removed from the wooden cross. 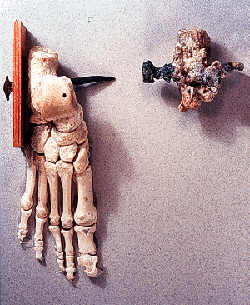 The problem was solved by removing some part of the wooded cross along with the nail with the body. No one in their right mind now doubts that crucifixion does not exist in Jesus' time. John 19:32 --- Then the soldiers came and broke the legs of the first, and of the other who was crucified with Him. The scrolls also state it was a punishment reserved for slaves and any who challenged the ruling powers of Rome. Matthew 27:45 --- "Now from the 6th hour there occurred darkness over all the land until the 9th hour." Mark 15:33 --- "Now when the 6th hour had come, it became dark over all the land until the 9th hour." Luke 23:44-45 --- "It was now about the 6th hour, and darkness came over all the land until the 9th hour, the sun failing." This darkness Thallus, in the third book of his History, calls, as appears to me without reason, an eclipse of the sun. For the Hebrews celebrate the passover on the 14th day according to the moon, and the passion of our Saviour fails on the day before the passover; but an eclipse of the sun takes place only when the moon comes under the sun. And it cannot happen at any other time but in the interval between the first day of the new moon and the last of the old, that is, at their junction: how then should an eclipse be supposed to happen when the moon is almost diametrically opposite the sun? "In the 4th year of the 202nd Olympiad, there was a great eclipse [Greek = EKLEIPSIS] of the Sun, greater than had ever been known before, for at the 6th hour the day was changed into night and the stars were seen in the heavens. 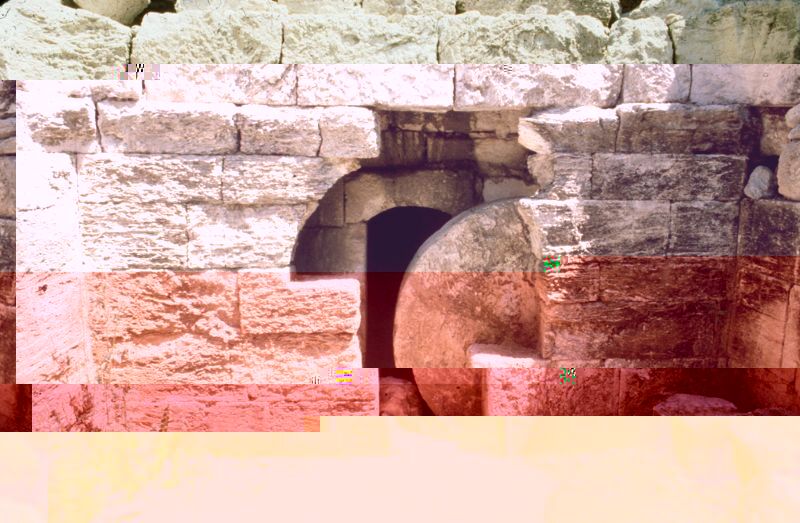 An earthquake occurred in Bythinia and overthrew a great part of the city of Nicaea"
The forth year of the 202 Olympiad is 32 AD - around the time that Jesus was crucified !!! Phlegon records that, in the time of Tiberius Caesar, at full moon, there was a full eclipse of the sun from the sixth hour to the ninth-manifestly that one of which we speak. But what has an eclipse in common with an earthquake, the rending rocks, and the resurrection of the dead, and so great a perturbation throughout the universe? Surely no such event as this is recorded for a long period. But it was a darkness induced by God, because the Lord happened then to suffer. And calculation makes out that the period of 70 weeks, as noted in Daniel, is completed at this time. "Archaeology has not produced anything that is a contradiction to the Bible. On the contrary: there have been many opinions of skeptical scholars that have been codified into `facts' over the years but that archaeology has shown to be wrong"